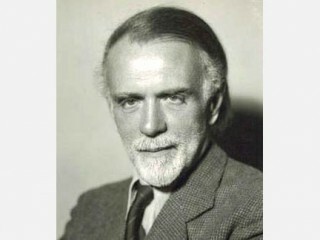 Zoltan Kodaly (December 16, 1882 - March 6, 1967) was a Hungarian composer, ethnomusicologist, educator, linguist and philosopher. Though born in Kecskemet, Kodaly spent most of his childhood in Galanta and Nagyszombat (now Trnava, Slovakia). His father was a keen amateur musician, and Kodaly learned to play the violin as a child. He also sang in a cathedral choir and wrote music, despite having little formal musical education. In 1900, Kodaly entered Budapest University to study modern languages , and began to study music at the Franz Liszt Academy in Budapest, where Hans Koessler taught him composition. One of the first people to undertake the serious study of folk song, Kodaly became one of the most significant early figures in the field of ethnomusicology. From 1905 he visited remote villages to collect songs and in 1906 wrote his thesis on Hungarian folk song (“Strophic Construction in Hungarian Folksong”). Around this time he met fellow composer Bela Bartok, to whom he introduced Hungarian folk song. The two went on to publish several collections of folk music together, and they both show the influence of folk music in their own compositions. After gaining his PhD in philosophy and linguistics, Kodaly went to Paris where he studied with Charles Widor. There he discovered, and absorbed influenced from, the music of Claude Debussy. In 1907 he moved back to Budapest, and gained a professorship at the Academy of Music there. He continued his folk music-collecting expeditions through World War I without interruption. Kodaly had composed throughout this time, producing two string quartets, his sonatas for cello and piano and for solo cello, and his duo for violin and cello, but had no major success until 1923 when his Psalmus Hungaricus premiered at a concert to celebrate the fiftieth anniversary of the union of Buda and Pest (Bartok’s Dance Suite premiered on the same occasion.) Following this success, Kodaly travelled throughout Europe to conduct his music. Kodaly subsequently became very interested in the problems of music education, and wrote a good deal of educational music for schools, as well as books on the subject. His work in this field had a profound effect on musical education both inside and outside his home country. Some commentators refer to his ideas as the “Kodaly Method”, although this seems something of a misnomer, as he did not actually work out a comprehensive method, rather laying down a set of principles to follow in music education. He continued to compose for professional ensembles also, with the Dances of Marosszek (1930, in versions for solo piano and for full orchestra), the Dances of Galanta (1933, for orchestra), the Peacock Variations (1939, commissioned by the Concertgebouw Orchestra to celebrate its fiftieth anniversary) and the Missa Brevis (1944, for soloists, chorus, orchestra and organ) among his better known works. The suite from his opera Hary Janos (1926) also became well known, though few productions of the opera itself take place. Kodaly remained in Budapest through World War II, retiring from teaching in 1942. In 1945 he became the president of the Hungarian Arts Council, and in 1962 received the Order of the Hungarian People’s Republic. His other posts included a presidency of the International Folk Music Council, and honorary presidency of the International Society for Music Education. He died in Budapest in 1967, one of the most respected and well known figures in the Hungarian arts. In 1966, the year before Kodaly’s death, the Kodaly Quartet , a string quartet named in Kodaly’s honour, formed.